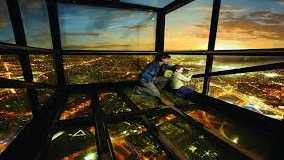 Eureka Tower was our first venture into Commercial space. The project was the Observation Deck, level 89 Function Rooms and Level 1 offices and Sales area. This Project was delivered in 2007 for Bob Cauchi from Red Rock Leisure and One Team have held the maintenance contract since completion.